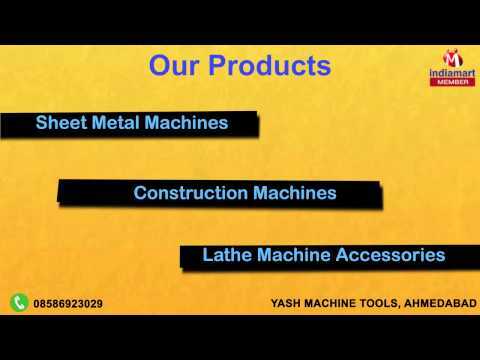 Yash Machine Tools, are a well-renowned manufacturer, importer, exporter and supplier of a comprehensive range of Lathe Machines, Drill Machines, Tool Room Machinery, SPM & Heavy Machines, Shearing Machines, Press Brakes, Sheet Metal Machines, Construction Machines, Automobile Machines, Lathe Machine Accessories, etc. Offered machines are designed and manufactured using the finest quality components and sophisticated technology. We put in our efforts to offer our customers with best servicing support and spares for their existing machines. These machines are designed with high level of precision in order to meet the international quality standards. The machines offered are highly appreciated by our clients for their features like excellent performance, easy maintenance, robust construction, energy efficiency, easy installation, compact design and long service life. We are also providing superior quality Repairing and Maintenance Services of these machines to our valuable client.